Losing weight isn’t easy. But with this 10 step guide you’ll soon start to see a leaner, fitter you. Weight loss is just around the corner. With so much information and so many contradictions when it comes to exercise, lifestyle and food, weight loss can be confusing. But now’s the time to stop worrying. Because we’ve pooled our expert knowledge at Instant Knockout and asked our scientists, trainers and fitness writers to come up with the ultimate 10 steps to weight loss. In a time where most weight loss articles focus on little things like ‘use a blue plate to suppress your appetite’, you need to get your mindset right from the get go or everything else becomes pretty useless. And that means spending time on what’s most important. Successful weight loss is about planning. It’s about building positive habits that help you form a healthy lifestyle- not just today, but every day. all the blue plates in the world wont help you if you struggle to be active or junk food makes up most of your diet. At the beginning of your weight loss program you might find that your weight on the scales drops quickly. Over time though, the rate at which you burn fat will slow down. Weight loss isn’t linear. Some weeks you’ll lose weight, others you won’t . You have to be patient. Of course you want to lose weight and for sure you’re looking forward to a stronger, leaner body. But remember – weight loss takes time and you can’t expect the journey to be easy. It’ll take sacrifices along the way. But you’ve till got a life to lead. So be happy, be patient and enjoy the process. The bottom line is that you can’t lose weight if you don’t control your energy balance. When you eat more than you burn off each day your body will always store the extra energy in your fat cells. The more you eat, and the longer you achieve this ‘calorie surplus’, the more weight you put on. Once that energy is stored in your fat cells it wants to stay there. And the only way you’ll lose it again this is by getting into what’s known as an energy deficit – you eat less than you burn off each day. That way, you force your fat cells to release the stored energy to make up the difference. Over time these cells get smaller and smaller as you use the fat in your body as an energy. A great way reach your energy deficit is to be active. Aiming to achieve 10,000 steps per day might sound like a lot, but with little changes to your lifestyle it’s actually pretty easy. Research shows that those who regularly reach the 10,000 step landmark are leaner, fitter and healthier. It might not sound like it makes a difference… but it really does. There are literally hundreds of diets out there. And they all pretty much work too, as long as they put you in a calorie deficit. So whether it’s low carb, intermittent fasting or clean eating – stick to what works est for you and your lifestyle. Don’t attempt to follow a diet just because a celebrity or friend tells you it works. If you find another diet easier, use it. If it’s tough, change your tactics. Clinical research tell us that there are some foods and nutrients that can accelerate fat loss. Caffeine – enhances athletic performance, elevates fat burning and reduce fatigue. Glucomannan – a natural fiber that swells in your stomach, helping reduce hunger and appetite. Cayenne pepper and green tea – potent thermogenics that melt fat. Zinc – found in foods like oysters, beef and grains. This mineral helps regulate energy levels and helps digestion too. Chromium – this nutrient helps you regulate insulin and is found in foods such as broccoli. If you want to get the benefits of these fat melting nutrients without the hassle of cramming them into your diet, you should use Instant Knockout. As an all-natural weight loss support supplement it helps to reduce appetite, boost fat oxidation and ramp up metabolic rate too. There’s nothing wrong with going it alone. In fact, many people choose to keep their weight loss journey a secret for fear of failure. But sharing ideas on recipes or exercise plans with like-minded people is a great idea. If you’ve got a friend who can offer you support along the way that’s great. Because losing weight is challenging. But building a network helps you overcome challenges and barriers. And when times get a little tough, they’re there to offer a little whisper of support in your ear, when you need helpthe most. It doesn’t even have to be someone you know either. There are loads of online groups (social media in particular is great for this) that discuss ideas and help to add accountability to what you’re trying to achieve. There are actually no bad points to being strong. Taking part in weightlifting workouts helps to build maximum strength, endurance, fitness and overall athleticism. But in terms of weight loss, strength training helps you maintain lean tissue – an important factor in keeping your metabolism firing on all cylinders when your calorie intake is low. Even if it’s just 2-3 times per week, taking part in regular full-body workouts not only burns calories but stops your body from breaking down muscle cell stores instead of fat. It’s a preventative tool to make sure your body grabs that stored energy from fat and not anything else. 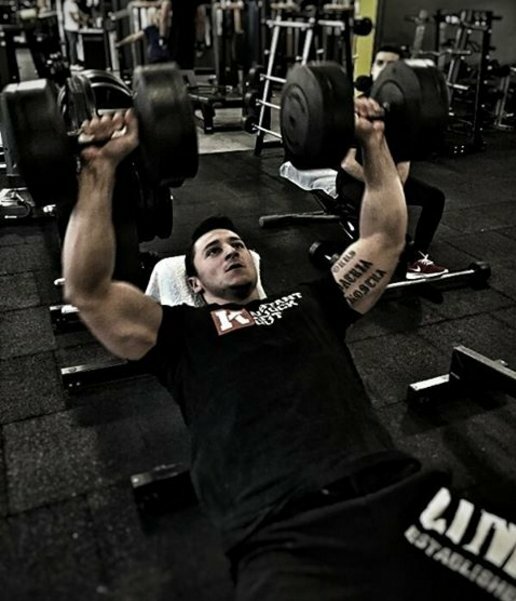 Will you get huge and bulky if you lift weight? Nope. Not if you’re dieting. And even then it’s really hard. But what you will get is toned, stronger and much more shapely. When you see the weight dropping off, you know your diet is working. But when your restrictive eating starts to get agonizingly difficult (and to be honest it will at some point) it’s important that you ease off a little. The idea that dieting causes damage to your metabolism is actually completely wrong. You can’t ‘kick start fat burning’ by having a cheat meal. But psychologically it can be pretty motivating to treat yourself to something you really enjoy. In the grand scheme of things, having a burger and fries or a sweet treat every couple of weeks really wont make that much of a difference. But if you’re working hard and keeping your diet nice and clean, treat yourself. Carbs, protein and fat are referred to as ‘macronutrients’. And the most important of these for weight loss is protein. Not only is lean protein low in calories (4 calories per gram), it’s also the most satiating nutrient too. It basically helps to keep you feeling fuller for longer. Eating foods such as chicken, beef, eggs, soy and beans also directly stimulates your metabolism as well. Combining strength training with a protein intake somewhere between 0.7 and 1 gram per pound of body weight is a pretty potent fat burning partnership. We often undervalue exactly how important water is for your body. Studies show that drinking 500 ml of water before a meal reduces the amount of food you eat, while helping you feel full. It’s a great way of helping your body achieve a calorie deficit but at the same time optimizing health and performance. As a premium weight loss support supplement, Instant Knockout uses the best clinically active ingredients to help you tone up, lean out and discover the body you want. Dosed with all-natural, fat-scorching ingredients such as green tea extract, cayenne pepper, green coffee bean and glucomannan, this powerful supplement delivers a knock out punch to your fat cells.